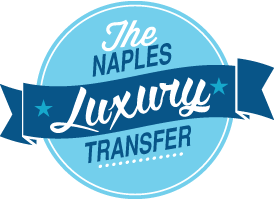 During your stay in Naples, Sorrento, or anywhere in the Amalfi Coast, Naples Airport Taxi will offer you the opportunity to make half-day or full day sightseeing tours in one of our cars, completely at your disposal. Together with one of our experienced driver, who can speak English and who perfectly knows this areas. He will drive you in these magic and fascinating places where you will admire panoramic views, the stunning colours of its gardens, the vegetable gardens of citrus orchards, the old villas that during the summer become botanical gardens with terraces overlooking the sea. 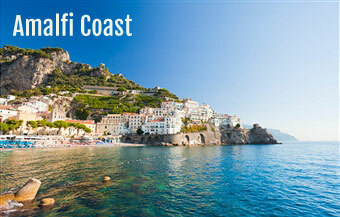 We will provide you with all the suggestions to spend an unforgettable holiday in the Amalfi coast. 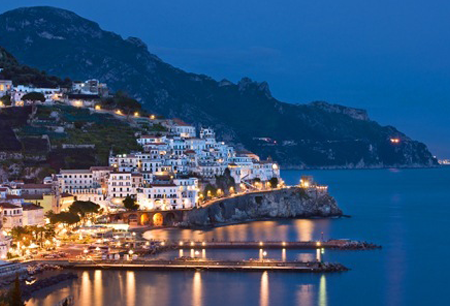 Choose and book your tour by clicking on "Amalfi Coast Tours Instant Quote" at the top of this page, in order to get a conformation e-mail with the exact meeting point and the driver's phone number. Here there is a short description of the available tours that you can quote and book on Instant Units. 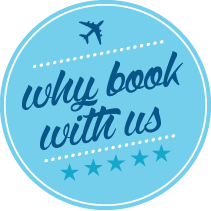 For any other needs or for quotations to other places and destinations that are not present on the list, please contact our customer service and we will send you a personalized quotation. Seeing the ruins of Pompeii is a real fascinating experience, but visiting them after having seen the majesty of the Vesuvius has a completely different effect and charm. You can walk along the streets of the ancient Pompeii, as in 2,000 years ago, and understanding the everyday life of that period, before the city was destroyed by the eruption of Vesuvius; from there, and you can see the volcano at 1,000 meters. We suggest you to wear sports and comfortable shoes and to be ready for an unusual, but certainly fantastic adventure. Even if less famous than Pompeii, the Herculaneum excavations represent its natural completion. These two ancient settlements show these ancient Roman cities during the same period, but they highlight great differences, and for this reasons it is worthy to visit both. Pompeii is almost completely excavated, and this shows how an ancient Roman city was at the age of the emperor Tiberius. The ancient city of Herculaneum, instead, was not fully excavated since in this same area the modern city was built; for this reason many old public buildings are unfortunately missing, but the details are much better preserved. 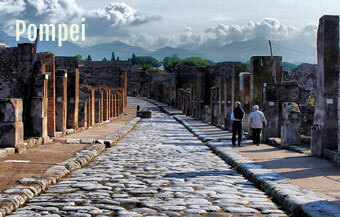 Naples and Pompeii: a mix of art and history for your culture. 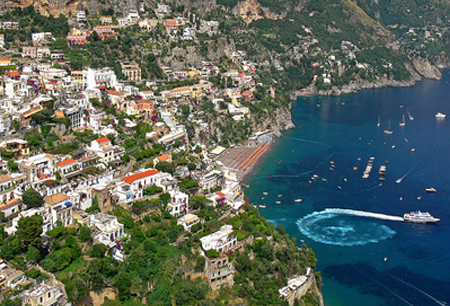 What is nice in visiting Naples and Pompeii? The fact that they are close one another, so they can be both visited in the same day to see their details and peculiarities. 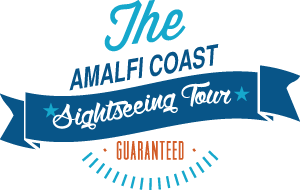 We offer you a panoramic tour of Naples, with strategic stops at panoramic places for some stunning photos, such as Piazza Garibaldi , Central Station , Corso Umberto Primo, Naples Port, Riviera di Chiaia, Mergellina, Posillipo, the Phlegraean Fields ( Ischia, Procida Pozzuoli etc..) and to the " Postcard from Naples ", Via Caracciolo, District of Saint Lucia, Dell'Ovo Castle. 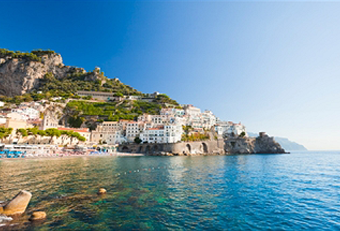 Enjoy the natural and astonishing beauties of the "divine" Amalfi Coast, one of the most beloved places of Italy, definitely not to be missed. 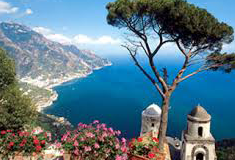 From the road from Sorrento to Amalfi , you will see the splendour of these places, which offer breath-taking and fabulous scenarios. At about 50 kilometres south of Salerno in Sele plain, Paestum offers both archaeological and natural beauties in the just one day. One of the most beautiful and enduring images of southern Italy is the three Greek temples of Paestum, one of the best-preserved monuments of Magna Grecia , as the Greeks called their colonies in southern Italy and Sicily. We provide an excellent and professional taxi service to Cassino, by showing you the most beautiful monuments of the city, such as the Abbey, a famous Benedictine monastery. We will then head to Rome, where your cameras will go crazy ! You will see the most famous places in the world, the Trevi Fountain, the Colosseum, Piazza Venezia, the Pantheon, the Spanish Steps , Piazza del Popolo, Trastevere. The visit to Cassino can be combined with that to Caserta , where you will see the unique beauty of the Royal Palace and of its beautiful gardens. Prices for Buses does not include ZTL and parking fee where requested.